Joan couldn't walk today, she had her 2 grand daughters this weekend and needed to drive Aubrey to school. 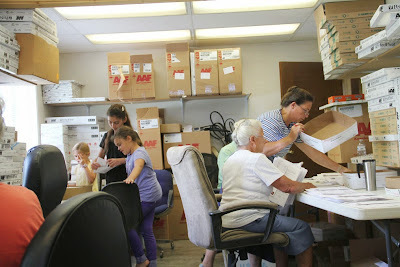 What we didn't know is that she went straight from that school to the shop and put everyone to work stamping envelopes. By the time mom and I arrived at 9:00 am they had been working for close to an hour. We have no Bibles to work with today but Tim Martin has promised to bring a bunch tomorrow morning for Thursday's workers. It was also a smaller than usual mail day because of the Memorial Day Holiday. Below mom, Shirley and Eva Jean are busy with letters and studies. 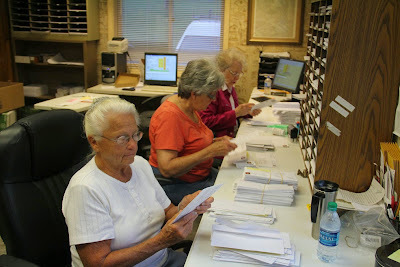 Joan's crew is hard at work in the conference room stamping envelopes and stuffing boxes. The letter below was kind of pitiful, we can't imagine how scared and lonely it must be in jail. 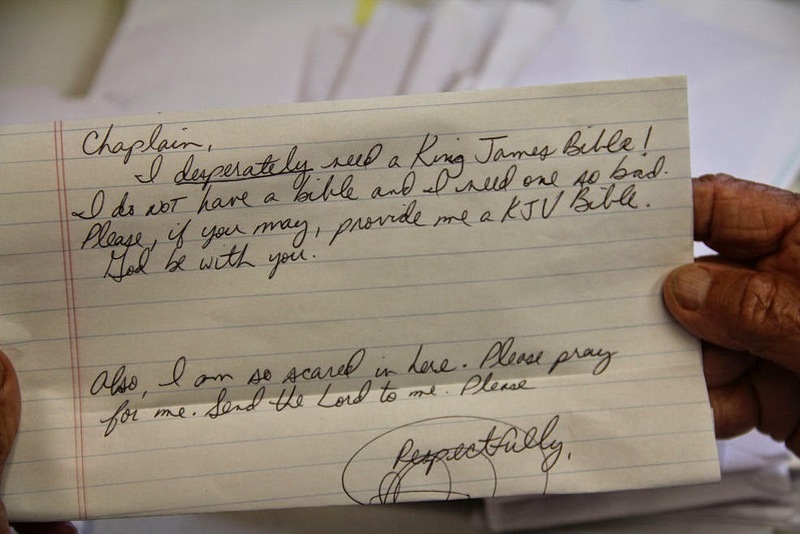 This inmate is asking for prayer. Please pray for him that he could find peace and learn to know of Jesus. 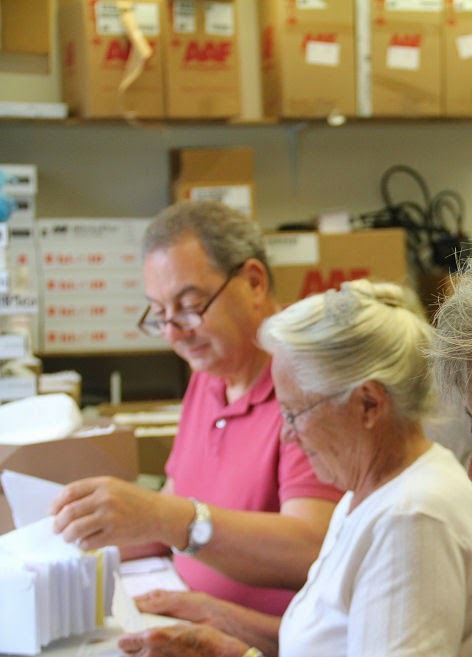 Chuck was busy working on applying labels to envelopes then envelopes to studies. Dave and mom were busy reading letters. Below Joan had everyone working on stuffing boxes while she kept the copier going. We had a wonderful crew and were able to finish all the letters and studies by noon. We went to Denny's for lunch then after lunch all were able to leave for home instead of working the afternoon. The saying Many hands make light work, really did apply today. 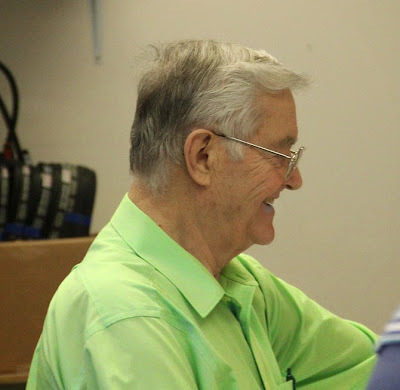 We had many willing hands and because of that the work load was an easy one for everybody. Of course the fact that it was a light mail day may have contributed to us getting done by noon.